Oil on board by Rafael Lillywhite (Wyoming, 1891-1958). This was created for Otto Huston, owner of the Park Market in Walden, Colorado. The market was a fixture for early settlers and ranchers. 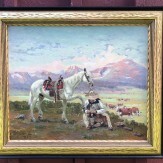 The painting is a portrait of Otto, with his favorite horse Silver, taking a break. Silver, comically, has his hoof on Otto's leg. Signed lower left corner. 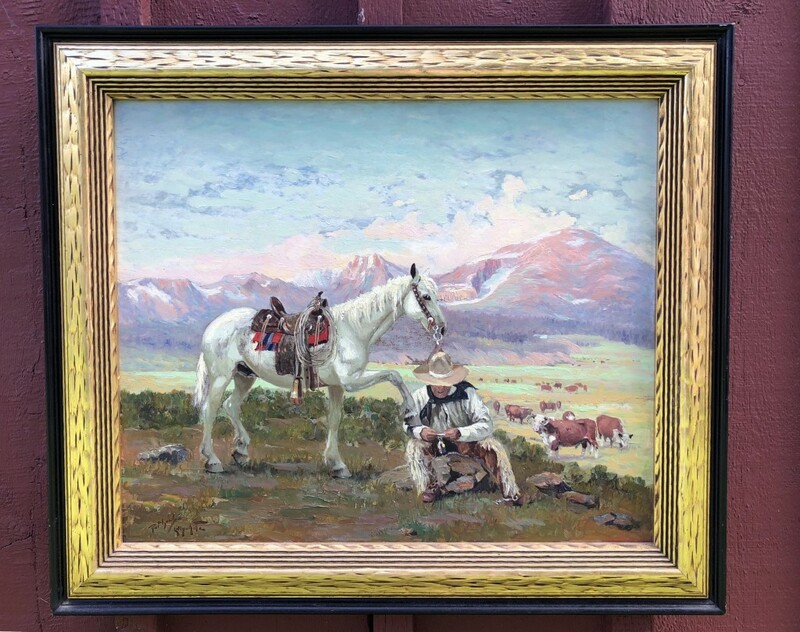 We know the horse's name because the painting was acquired directly from Otto's family. A cow in the background has Huston's brand, V Lazy L, clearly visible. 22.5" x 18.5" in a larger frame. 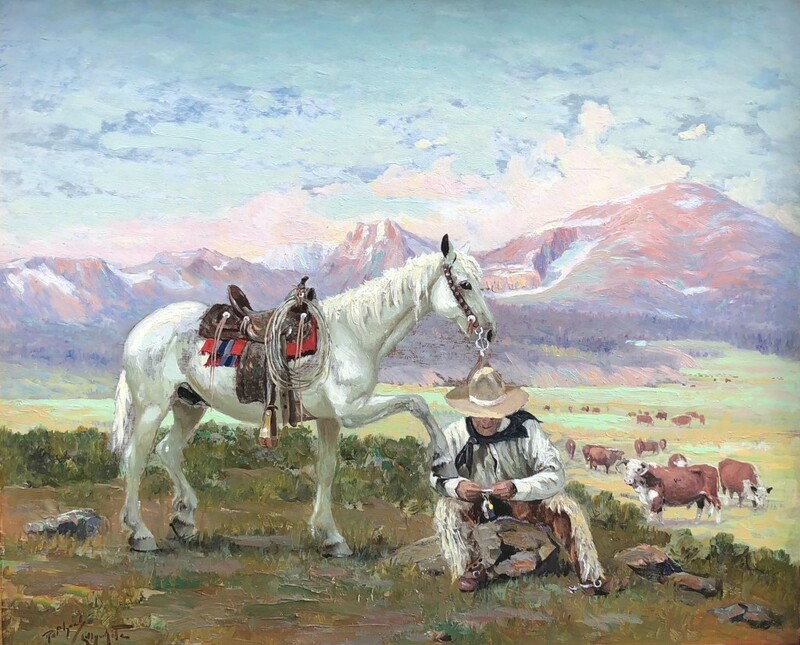 Lillywhite is a listed artist whose works usually show the landscapes and people of Wyoming and Colorado.